PROTECTION FOR YOUR HOME, YOUR PROPERTY, YOURSELF. 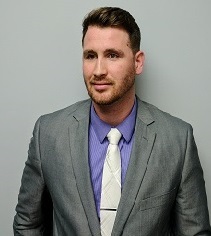 Front Porch Realty recently sat down and spoke with Corey Mullen, at Clay Hamilton’s State Farm Insurance in Fuquay Varina, about the importance of having homeowners insurance and how it works. Your home is your refuge after a long day of work. It’s the hub of everything that really matters, where you can relax with your family. So you shouldn’t trust just any company to protect it. You should go with an insurer with the financial strength to cover a wide variety of losses, trusted by more homeowners than any other insurer. That’s State Farm®. When the unexpected hits home, a good neighbor can help. Think of homeowners insurance as financial protection for what the future might bring. For example, if your home were damaged by a fire, or burglars broke in and stole your belongings, your policy could help pay to rebuild your home or replace your possessions. Without a policy, you’d have to cover those expenses out of your own pocket. So if you’re a homeowner, homeowners insurance is an absolute necessity. • Your house: This includes your home and other structures on your property, such as a detached garage or a shed. • Your possessions: This includes personal belongings inside your home, such as your clothing, furniture, and electronics—and with limitations—certain valuables. It could even cover belongings you take with you while away from home. • Financial protection against lawsuits: In certain situations, your State Farm Homeowners Policy could help protect your finances by paying for damages which you’re legally responsible for, and even your legal defense. For example, the policy could help cover legal defense costs if a visitor accidentally got hurt at your place and took you to court. • Removal of your damaged property after a fire, or other loss covered by the policy. • Temporary repairs necessary to protect covered property from more damage. • Extra expenses for your household to live elsewhere, if your home is uninhabitable because of damage covered by the policy. • Water damage caused by flood. You may want to talk to your agent about a separate earthquake policy. A “deductible” is the amount that you are responsible for when you file a claim. Your deductible can be a fixed amount, such as $1,000 or $2,000, or a percentage of the coverage amount, such as one or two percent. So if your home is covered for $200,000 and you have a one percent deductible, your deductible is $2,000. Here’s how a deductible works: say you file a claim for $10,000 after a burglary, and you had chosen a fixed amount deductible of $1,000. So the policy covers you for $9,000 and you are only responsible for $1,000. Generally, the higher your deductible, the lower your premium. But with a higher deductible, your financial responsibility would be higher if you file a claim. Your agent can help you determine the deductible that’s right for you. 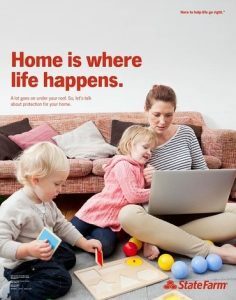 Your State Farm Homeowners Policy has coverage limits on certain types of property, such as computers, collectibles, jewelry, and other valuables. Here’s an example: Suppose your home had been broken into and your computer and printer were stolen. If the policy limit for home computers and equipment was $5,000, the policy would reimburse you up to that limit after your deductible has been met. How much coverage will you need? If you choose a coverage amount less than the estimated replacement cost, you may not be eligible for certain coverages. Since no one can say what the exact cost will be to replace your home in the future, you’ll need enough coverage to account for unforeseen circumstances. For a replacement cost estimate, you can ask a contractor, hire a professional replacement cost appraisal service, or ask your State Farm agent to help you develop an estimate. Make sure to point out any architectural details or unique building materials that affect your estimate. • You move, improve your existing home, or build a new home. • You add a fire and/or burglar alarm system. • You purchase items—such as home computers, jewelry, and furs—that might exceed your basic coverage. To help make sure your coverage is up to date, it’s a good idea to review your policy with your agent every year. Extra coverage you just might need. Depending on your situation, you may need separate, broader coverage for additional financial protection. Have concerns about your personal liability? A Personal Liability Umbrella Policy (PLUP) for extra liability coverage in increments of $1 million, in case you’re sued for damages that exceed your State Farm Homeowners or Auto Policy liability limits. Own jewelry, fine arts or other valuables? Other policy options or a Personal Articles Policy (PAP), which can give you higher coverage limits or broader protection. Work out of your home? Other policy options for home business coverage, which may cover your business-related property and liability. You may also want to consider a separate, more comprehensive business policy for your home-based business. Want to protect yourself against identity fraud? Adding the Identity Restoration Coverage Endorsement to your State Farm Homeowners Policy. It offers coverage for specific expenses caused by identity fraud and case management services to help counteract the effects of identity fraud. Clay Hamilton and Corey Mullen are available to answer all of your insurance questions. 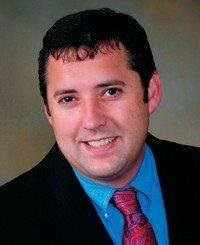 Clay Hamilton Jr Insurance Agency Inc.